Regenerate and Hydrate| All skin types | Sensitive and Problematic skin. For the most visible results, use Body Butter for Women daily after cleansing, on moist skin. Apply all over the body or on desired areas using smooth, even strokes to create a thin, moisturising barrier. 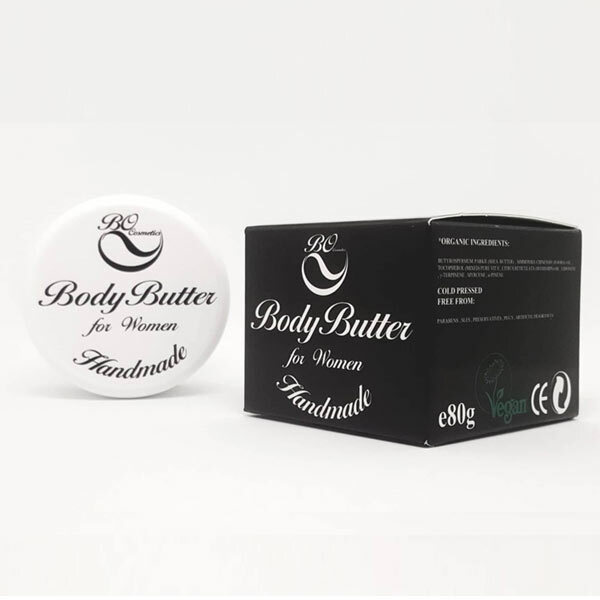 Body Butter for Women instantly improves skin’s hydration and protects it from the day’s exposure to environmental toxins that lead to dryness, irritation and inflammation. This silky butter can be re-applied to skin to maximise its calming and soothing properties and to provide an additional barrier against damage. To provide after-sun relief with cooling, pacifying Shea butter, place body butter in the refrigerator. Then, gently smooth the cooled cream onto the sunburned areas of skin. Reapply as desired for optimum comfort. This body butter is pure and gentle enough to be used daily on the face. Re-apply to troubled spots throughout the day if skin begins to feel inflamed, itchy, flakey and rough.